It’s YOUR trip! The St. Croix and Mississippi Rivers are fantastic fisheries blessed with great walleye, smallmouth bass, muskie, and sturgeon populations. 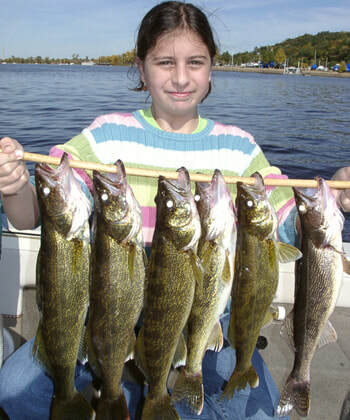 Walleye is the specie most requested, but if you want to fish for any of these mentioned gamefish, it’s your trip you’ll do it. Check out the photos on this site, we catch them! Just discuss specifics while booking the trip, and your needs will be accommodated. Croixsippi welcomes the opportunity to guide anglers of all skill levels, especially novices, it is enjoyable to watch wives out-fish their husbands or sons out-catch their dads! Get the net! Young anglers are are welcome! Groups of four or more require the services of an additional guide. The St. Croix and Mississippi Rivers are fantastic fisheries blessed with great walleye, smallmouth bass, muskie, and sturgeon populations. 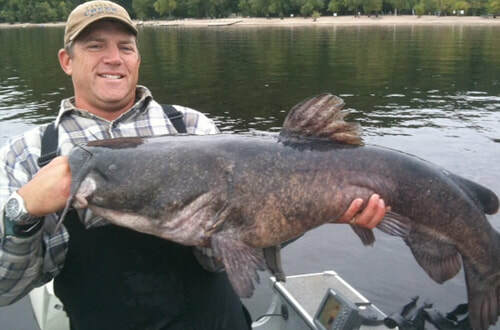 You never know what you might catch on the St. Croix River! • Turk Gierke as your guide… a friendly guide with 20 years successful river fishing guide trips using many techniques. • A reel good time! Lunch, drinks, sunscreen and a valid license. ...to be legal you need a Minnesota license if you are a Minnesota resident, or a Wisconsin license if you are a Wisconsin resident. Please purchase a non-resident license if you live in another state. Indicate if you are buying a trip for yourself, or as a gift certificate for another. Other guides may be called upon for groups of four or more anglers. 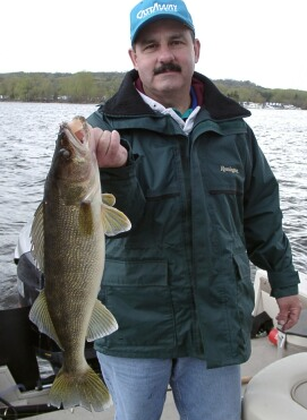 Walleye/Sauger Smallmouth bass Catfish Muskie Whatever is biting! If you are buying a gift certificate, what message do you want on it?